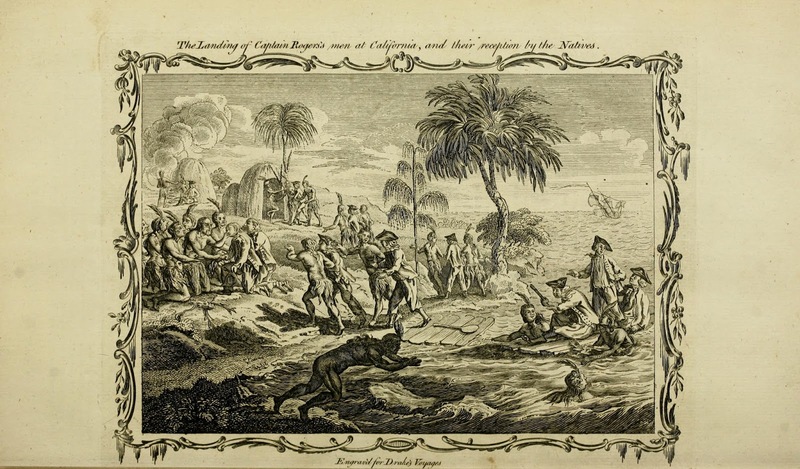 The Landing of Captain Rogers's Men at California, artist unknown, 1765, Internet Archive/Getty Research Institute. A new universal collection of authentic and entertaining voyages and travels... by Edward Cavendish Drake. 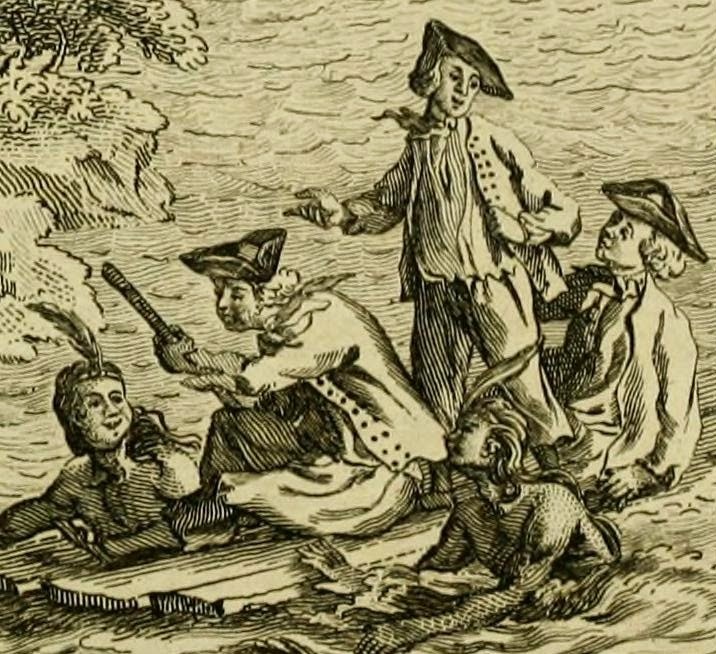 California, as a far flung and somewhat backwater holding in the Spanish empire, is not the location of any other contemporary image of British sailors. The location alone makes this an interesting piece. 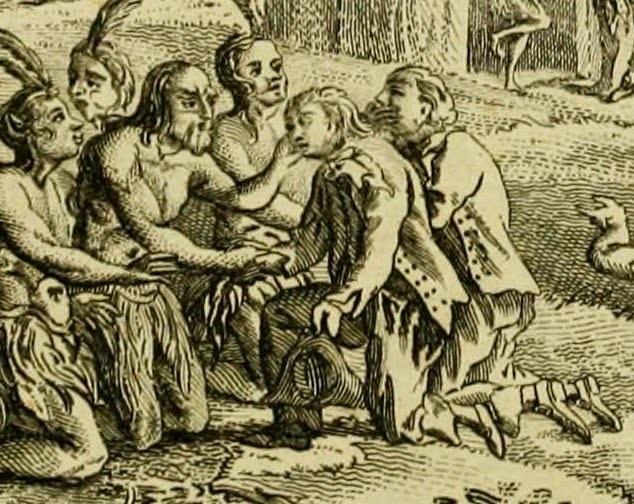 Two sailors are examined closely by the Native Californians, who feel their faces and inspect their clothing. Each wears an oddly double breasted jacket and loose trousers. Neither wears a waistcoat, and both have solid colored neckcloths. The tar in the foreground holds his cocked hat in his left hand. wearing theirs reversed, and the tarpawlin further aft wearing his with the point forward.